In today’s technology culture, youth and young adults are constantly connected to electronic devices but have never been so disconnected from family, friends, and faith. Nüe Origin is a nonprofit organization that launches creative art movements to introduce the twenty-first-century world to the message and person of Jesus Christ and to catalyze social and cultural change. 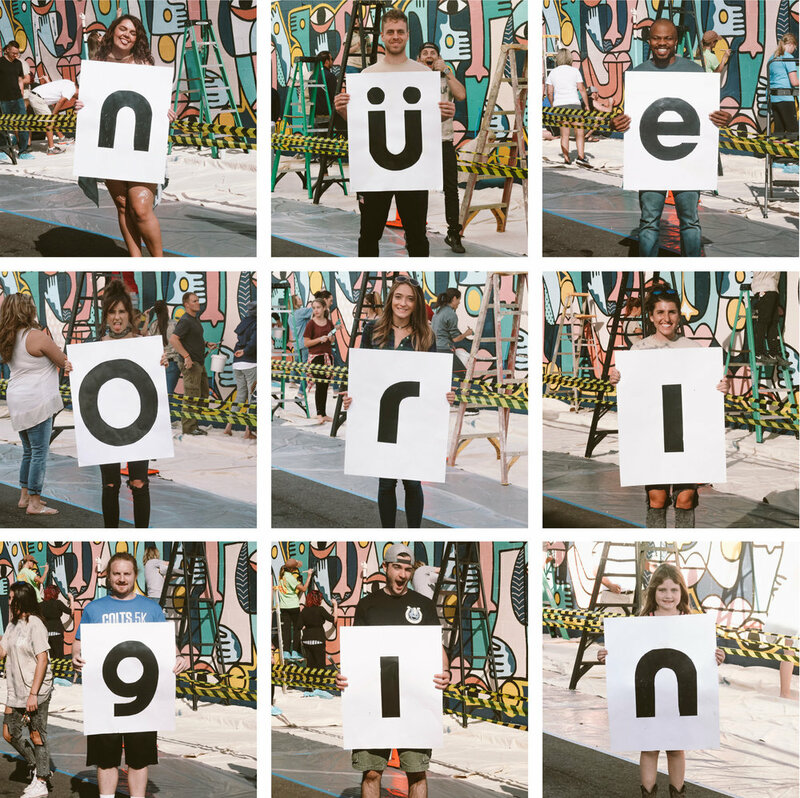 Nüe Origin reaches the Millennial generation and today’s youth with the Gospel on a mass-scale through experiential art movements that aim to reclaim the arts for Christ. The Church is having difficulty reaching the Millennial generation and Generation Z for Christ. The brokenness in America’s young people manifests in teen suicides, substance abuse, addiction, and self-harm. Media plays a huge role in the number of young people turning away from God and leaving the American Church. While Christian media and art exist, they largely lack the quality, aesthetic, and deployment strategies necessary to connect with today’s young people. 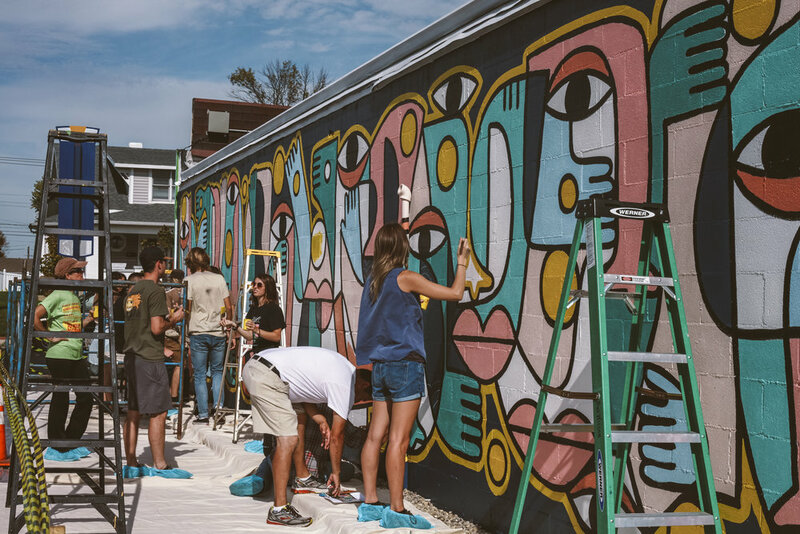 Through high-caliber art movements that are experiential and participatory in nature, Nüe Origin recruits America’s youth to reach one another with the Gospel in ways that ripple through social media and the web. In our state-of-the-art studio, we disciple and mentor the artistic influencers of tomorrow to employ their craft for Christ in culturally relevant ways. In his 2017 Worldview Measurement Project, George Barna estimates that only 4% of Americans in the Millennial generation have a truly biblical worldview. In an interview with Dr. James Dobson, Barna attributes media as one of the three main causes of this decline. With digital media growing in functionality and scope and with more and more Millennials leaving the Church and flocking to communal art experiences like Burning Man Festival and Bonnaroo, Nüe Origin sees the need for Kingdom-based experiential art movements, the evolution of which we can broadcast over digital media. By using these platforms to make known the man and message of Jesus Christ, we will share the Gospel with a generation. A number of studies show that vocational artists have a higher suicide rate than the general population. One study found that pop stars and celebrity musicians tend to die twenty-five years younger than the average person. While there are clear links between mental illness and creative pursuits, is it possible there’s something wrong with the industry? By examining numerous examples of how arts and creative industries interact with their artists, Nüe Origin has discovered an model largely based on exploitation. To that end, we have constructed a model that develops and disciples artists in order to cultivate a wholeness in those whose creations influence the thoughts and emotions of the greater world. - Senator John Crane, founder of the Sagamore Leadership Initiative, Inc.
- Jake Honadle, President of Nue Origin.